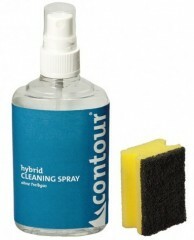 If you have the Contour Hybrid skins (mohair or mix), you’re likely enjoying the easy-to-manage, multi-layer glue formula. The skins stick to your skis yet require little effort to separate when stored glue-to-glue. 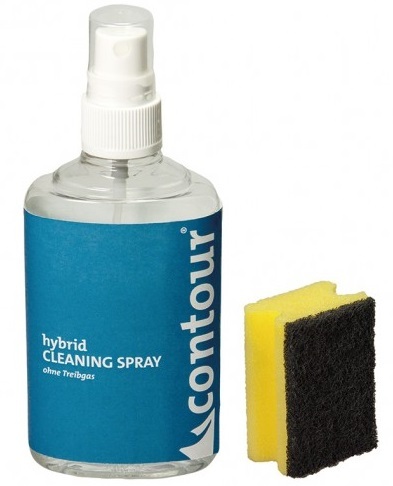 Keep it that way for years with the Contour Hybrid Cleaning Spray. This proprietary formula cleans and refreshes the surface layer of glue. Cleanliness is next to godliness? This 150 milliliter kit might be as close as some of you get.